Winner of the ‘AWARD FOR THE BEST NUTRITIONIST’ by FEMINA 5th WWLC 2018, Munmun Ganeriwal, Founder of ‘Yuktahaar’ is India’s only professional to have acquired a Master’s Degree in Nutrition Science, International Certification of Health Fitness Instructor and Yoga Diploma, all at the same time. Over the last 16 years, Munmun Ganeriwal has worked as a Nutrition and Exercise Consultant with a diverse set of clients from all walks of life, of all age groups, varying fitness levels and varying medical histories and it constitutes of corporate houses, media houses, business leaders, actors and celebrities, sports icons, professionals, students and homemakers across the globe. Munmun Ganeriwal has been acknowledged by various celebrities like Shilpa Shetty, Taapsee Pannu, Zareen Khan, Vidya Balan, Soha Ali Khan Pataudi, Ileana D’Cruz on social media. Her knowledge and love for traditional foods led her to curate special Indian Superfoods that are suggested by her for good health, fitness and well-being. Munmun Ganeriwal has been honoured for excelling in her efforts to help transform the lives of individuals and families and make them healthy, fit and disease free. Her work has been recognised and she has won accolades for her contribution to the health and wellness sector. A few of her recent awards are “India’s Top 30 under 50” by IWD 2019 Awards- for the girl next door with an extra ordinary story and “The Best Nutritionist” by FEMINA 5th WWLC 2018. Munmun Ganeriwal is a sought-after speaker and expert panelist at health, fitness & wellness events. From time to time, she has been invited as an esteemed speaker along with other global healthcare leaders to discuss, deliberate and analyse the current national and international trends and innovation, challenges as well as the future of Fitness and Nutrition in India and outside. A few of her recent events are The Economic Times Champions of Fitness 2017-2018 and Food and Fitness Workshop by Navbharat Times. Munmun Ganeriwal is a frequent contributor of diet and fitness tips and articles to leading newspapers, magazines and websites, both in India and abroad. A reputed nutrition and fitness consultant, her expert advice on a range of topics related to healthy living is much sought-after. As the Founder of Yuktahaar, a holistic lifestyle transformation consulting company, she also shares valuable insights from her entrepreneurial journey. 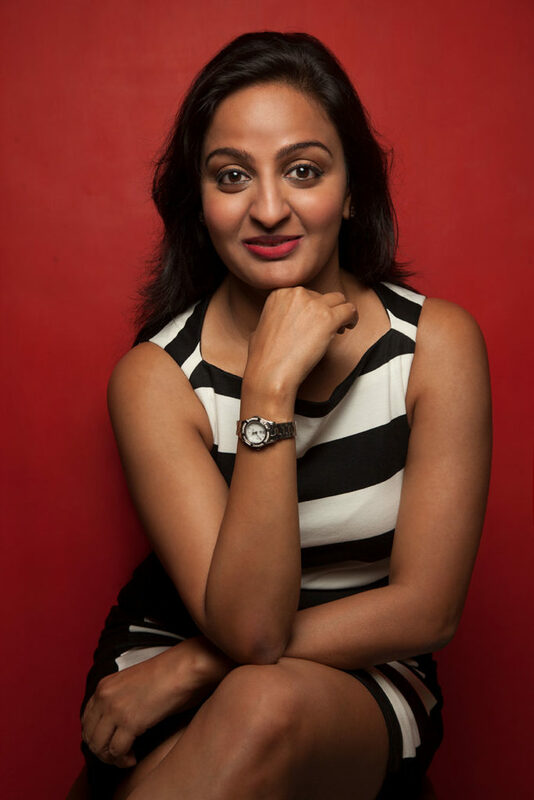 A few of the publications that has covered her inputs/ articles are Economic Times, Indian Express, Vogue, Business Standard, Times of India, Mumbai Mirror, Hindustan Times, The Asian Age, DNA and Mid-day. The United States Department of Agriculture (USDA) launched the Know Your Farmer, Know Your Food initiative in 2009 to help develop the local and regional food system. They advocated that learning about where our food is grown and produced can help us make more informed decisions to maximize the quality, freshness and nutritional value of everything we eat. Munmun Ganeriwal takes this mantra to heart and spends her weekends being part of community farming projects, where along with an enthusiastic group of like-minded people, she learns the best practices for growing fresh sustainable food, fruits and veggies of the season, composting, carbon trapping, bringing back nutrients to the soil and even the right techniques of mixing soil. Engaging in these activities supports the local economy by helping the villagers earn a livelihood from the village resources. It also fits neatly into Munmun’s overall philosophy of being responsible for knowing where and how our food originates before she can guide and educate her clients on nutrition and lifestyle habits in an informed manner. Munmun, on a totally non-commercial basis, is a part of various groups of trusted farmers involved in natural farming. During your interactions with her, she could connect you directly with few of them so that you get access to genuine, farm fresh produce. It’s a small no-profit effort from her side because we understand how good food contributes to our well being (yes, weight loss too!) and disease prevention. Passionate about food and fitness, I believe in following my heart. Born in a Marwari family in Assam, Munmun Ganeriwal went to MIT, Pune, to study engineering. While studying there, she worked part-time as a fitness trainer at one of Pune’s most reputed gyms and juggled her studies while learning on the job. Having discovered this as the exact pursuit that resonates with her heart and mind, what happened next was simply logical: turning her passion into her profession. Yes, despite conventional wisdom and social aspirations, taking the plunge and following her heart instead of chasing a coveted career as an engineer led her to choose learning and pursue excellence in nutrition science and exercise physiology. And there’s been no looking back ever since. Yoga from traditional schools, is something she dedicated herself to learning and continues to do so, besides staying up to date with developments and new research in the field of nutrition and exercise science. This helps her to be a better professional who applies the Indian philosophy of food and well-being, coupled with the latest research conducted in Western high-tech labs, to help her clients lose weight in a healthy and sustainable manner. Please feel free to call Munmun at +91 7678 027 556 or email her at yuktahaar@munmunganeriwal.com.